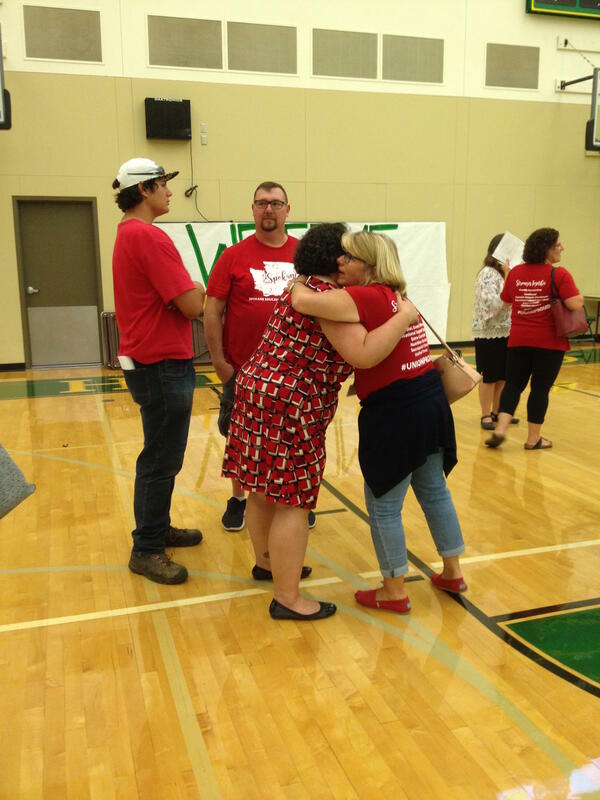 Spokane Education Association President Katy Henry (red dress) hugs a union member after teachers approve a new contract Thursday evening. 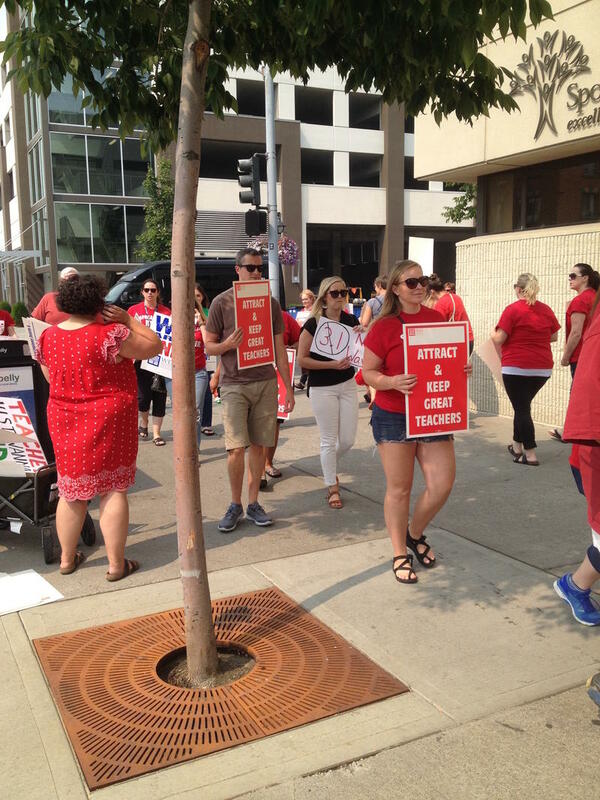 Teachers in the Spokane School District overwhelmingly ratified a new contract Thursday night. Spokane Education Association President Katy Henry says the new pact calls for an average raise of 14.3% for teachers. She says classified employees — those who aren’t teachers — will receive anywhere from 10-to-21% increases. Nearly 1,600 votes were cast; 98% approved of the new agreement. Henry says the negotiations picked up after other districts in the area came to agreements. The 14% increase is a little less than what Mead teachers agreed to earlier this week. The contract must now be ratified by the school board.